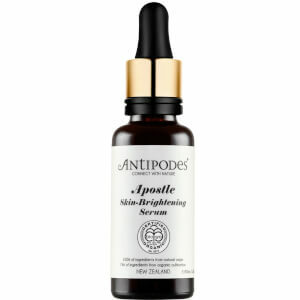 Treat sensitive, irritated skin to the benefits of Antipodes Saviour Skin Balm; a multi-purpose, everyday skin remedy for the face, lips, feet and body. Harnessing the powers of antioxidant-rich Echinacea, Australian Tea Tree and Totara (a native New Zealand yew tree), the fast-absorbing balm can be used to repair cracked or dry skin, relieve sunburn and soothe just-shaven skin, or to hydrate chapped lips, comfort sore muscles and soften hard, rough feet. Ideal for the whole family and for travelling. Amoleça o bálsamo nos seus dedos e aplique na pele limpa e seca, nas áreas problemáticas do seu rosto, lábios ou corpo, assim que estes precisem de cuidado. Reaplique regularmente. Ideal para toda a família.